Welcome to the official SEVP and SEVIS website. Here you can find the latest information and resources for F (academic) and M (vocational) students, as well as designated school officials (DSOs). The Student and Exchange Visitor Program (SEVP) is a part of the National Security Investigations Division and acts as a bridge for government organizations that have an interest in information on nonimmigrants whose primary reason for coming to the United States is to be students. On behalf of the Department of Homeland Security (DHS), SEVP manages schools, nonimmigrant students in the F and M visa classifications and their dependents. The Department of State (DoS) manages Exchange Visitor Programs, nonimmigrant exchange visitors in the J visa classification and their dependents. Both SEVP and DoS use the Student and Exchange Visitor Information System (SEVIS) to track and monitor schools; exchange visitor programs; and F, M and J nonimmigrants while they visit the United States and participate in the U.S. education system. SEVIS is a web-based system for maintaining information on international nonimmigrant students and exchange visitors in the United States. It is the core technology for the DHS in this critical mission. SEVIS implements Section 641 of the Illegal Immigration Reform and Immigrant Responsibility Act of 1996, which requires DHS to collect current information from nonimmigrant students and exchange visitors continually during their course of stay in the United States. In addition, the Uniting and Strengthening America by Providing Appropriate Tools Required to Intercept and Obstruct Terrorism Act of 2001 (USA PATRIOT Act; Public Law 107-56, amended Section 641) mandated implementation of SEVIS prior to Jan. 1, 2003. What is the purpose of SEVIS? SEVIS tracks and monitors nonimmigrant students and exchange visitors. If accepted by an SEVP-certified school, foreign students may be admitted to the United States with the appropriate F or M nonimmigrant status. If accepted for participation in a Department of State-verified exchange visitor program, exchange visitors may be admitted to the United States with J nonimmigrant status. Records of these nonimmigrant admissions and continued participation in these educational programs are maintained in SEVIS. Further, SEVIS enables SEVP to assure proper reporting and record keeping by schools and exchange visitor programs, thereby ensuring data currency and integrity. SEVIS also provides a mechanism for student and exchange visitor status violators to be identified so that appropriate enforcement is taken (i.e., denial of admission, denial of benefits or removal from the United States). Who are F and M nonimmigrant students? The Immigration and Nationality Act (INA) provides for the admission of different classes of nonimmigrants who are foreign nationals seeking temporary admission to the United States. The purpose of the nonimmigrant’s intended stay in the United States determines his or her proper nonimmigrant classification. Some classifications permit the nonimmigrant’s spouse and qualifying children to accompany the nonimmigrant to the United States or to join the nonimmigrant here. To qualify, a child must be unmarried and under the age of 21. F-1 nonimmigrants, as defined in section 101(a)(15)(F) of the INA, are foreign students coming to the United States to pursue a full course of academic study in SEVP-approved schools. An F-2 nonimmigrant is a foreign national who is the spouse or qualifying child of an F-1 student. M-1 nonimmigrants, as defined in section 101(a)(15)(M) of the INA, are foreign nationals pursuing a full course of study at an SEVP-approved vocational or other recognized nonacademic institution (other than in language training programs) in the United States. An M-2 nonimmigrant is a foreign national who is the spouse or qualifying child of an M-1 student. View the latest biannual SEVIS By the Numbers report. Visit Mapping SEVIS by the Numbers, the interactive mapping tool where users can explore international student data from SEVIS by the Numbers. You can find previous SEVIS by the Numbers reports in Freedom of Information Act Library, under Student and Exchange Visitor Program. The SEVIS Help Hub is a central location for designated school officials to access information regarding student records, school records and SEVIS release updates. 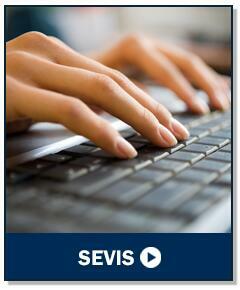 Visit the SEVIS Help Hub to find user guides, fact sheets, job aids and FAQ documents related to SEVIS. When an individual enrolls at a U.S. school as an F-1 or M-1 international student, the Student and Exchange Visitor Program (SEVP) captures certain information about that individual in the Student and Exchange Visitor Information System (SEVIS). The data included in this data set has been extracted from SEVIS and provides an overview of SEVP-certified schools and active international students during a specific calendar year. This data is updated annually. On Sept. 16, 2011, DHS Secretary Janet Napolitano and ICE Director John Morton launched the Study in the States Initiative at the University of Wisconsin-Madison. A key aspect of this initiative seeks to enhance coordination between the various federal agencies that play a role in implementing our international student visa and exchange visitor programs. The launch of the Study in the States website was part of this initiative. Sponsored by DHS and managed by SEVP, this website provides a wealth of information and resources to encourage the best and brightest international students to study and learn about expanded post-graduate opportunities in the United States. The Study in the States website allows ICE and its partner agencies, as well as DoS, to more effectively communicate information to international students, exchange visitors and their dependents. The site features dynamic and interactive content in a user-friendly manner and uses social media tools, such as Facebook, Twitter and LinkedIn to provide updates to visitors around the globe. SEVP collects, maintains, analyzes and provides information so only legitimate foreign students or exchange visitors gain entry to the United States. The result is an easily accessible information system that provides timely information to Department of State, U.S. Customs and Border Protection (CBP), U.S. Citizenship and Immigration Services (USCIS), and U.S. Immigration and Customs Enforcement (ICE), as well as a number of other federal enforcement agencies with "need to know." This glossary defines key terms related to the international student life cycle and the government’s oversight of that process. Although this list is not exhaustive, it does serve as a reference for schools and students to understand and comply with the federal rules and regulations governing international students studying in the United States, and the schools and programs that welcome them. School Withdrawn A student termination reason in the Student and Exchange Visitor Information System when the Student and Exchange Visitor Program (SEVP) terminates a student record because a school loses SEVP certification and is withdrawn from SEVP. F-2 Nonimmigrant status conferred on a foreign national who is the accompanying or joining dependent of an F-1 student. M-1 Nonimmigrant status conferred on a foreign national pursuing a full program of study at a SEVP-certified vocational school or other recognized non-academic school (other than in language training programs). M-2 Nonimmigrant status conferred on a foreign national who is the dependent of an M-1 student. J-1 Foreign national selected by a Department of State-designated program to participate in an exchange visitor program. J-2 Foreign national who is the dependent of a J-1 exchange visitor accompanying or joining the J-1. Active A designated school official has entered the student's registration in the Student and Exchange Visitor Information System. The record indicates the student is in status. Canceled A designated school official or SEVP canceled a student's record in the Student and Exchange Visitor Information System because there is no record of entry to the United States on the record or there is no record of registration. Completed The student has completed studies at the school and any approved post-completion optional practical training. Deactivated This status applies to a student's original record after the student has either transferred to another school or changed educational level. Initial A designated school official (DSO) has issued a Form I-20, “Certificate of Eligibility for Nonimmigrant Student Status,” and the DSO has not yet reported the student's arrival at the student's assigned school in the Student and Exchange Visitor Information System. Draft A designated school official has saved the student record but has not submitted it to the Student Exchange Visitor Information System. Terminated A designated school official or SEVP has terminated the record for a reason other than "Program Completion." Active Sponsor has validated the exchange visitor's participation in the program. Draft Responsible officer or alternate responsible officer has saved the record but has not submitted it to the Student and Exchange Visitor Information System. Exchange visitor has completed the program as scheduled. Exchange visitor has an approved change of status and has a different visa type. Responsible officer (RO) or alternate responsible officer (ARO) ends the program (e.g., exchange visitor completes program early or withdraws). RO or ARO ends status of J-2 dependent because or divorce or dependent death. Initial Responsible officer or alternate responsible officer has submitted the record to the Student and Exchange Visitor Information System, but the program sponsor has not validated it. Exchange visitor uses the Form DS-2019 to get a visa but does not enter the United States within 30 days of the program start date. Exchange visitor is in Initial status with an approved change of status (COS) request and has a different visa type. Exchange visitor in Initial status has a pending COS to J visa, and either the exchange visitor withdraws the request or United States Citizenship and Immigration Services denies it. No-Show Program sponsor has not validated the Student and Exchange Visitor Information System record 30 days after the program start date or effective date of transfer (the responsible officer or alternate responsible officer makes this change). Terminated Removed from Active or Initial status prior to program completion for a reason other than completion of a program (e.g., death, violation of status or expulsion from school). "Certificate of Eligibility for Exchange Visitor (J-1) Status"
Responsible officer issues to a prospective J exchange visitor. Program official submits to Department of State to become Department of State-designated to enroll J exchange visitors. "Update of Information on Exchange Visitor Program Sponsor"
Program official submits to Department of State to change or update Form DS-3036, “Exchange Visitor Program Application,” information. "Supplement, Document Verification Request Supplement"
Federal, state or local agency official files this form in order to verify a nonimmigrant’s status via the Systematic Alien Verification for Entitlements program. "Application for Replacement/Initial Nonimmigrant Arrival-Departure Document"
Nonimmigrant who misplaces the Form I-94, “Arrival/Departure Record,” files to request a replacement. "Petition for a Nonimmigrant Worker"
Employer uses to petition for an alien to temporarily enter the United States to perform services or labor or to receive training under particular nonimmigrant visa classes. "Petition for Approval of School for Attendance"
Form of a petition submitted and maintained by school officials electronically in the Student and Exchange Visitor Information System for Student and Exchange Visitor Program certification of the school to enroll F-1 and/or M-1 students. "Certificate of Eligibility for Nonimmigrant (F-1) Student Status "
Form issued to an F or M nonimmigrant, used as authorization for admission in and maintenance of nonimmigrant status for the duration of their visit in the United States. "Application to Register Permanent Residence or Adjust Status"
Nonimmigrant uses to change from a nonimmigrant status to immigrant status or from immigrant status to lawful permanent resident status. "Notice to Student or Exchange Visitor"
"Application To Extend/Change Nonimmigrant Status"
Nonimmigrant uses this form for applying to change to a different nonimmigrant visa status or to apply to remain in the United States for a longer period of time. Nonimmigrant uses for applying for eligibility to work while in the United States. United States Citizenship and Immigration Services issues this form. This form proves that a nonimmigrant has permission to work in the United States for a specific period of time and under certain circumstances. Receipt that the Student and Exchange Visitor Information System (SEVIS) generates for many different SEVIS-related fees. This form proves legal entry into the United States; a Customs and Border Protection officer issues this form at a port of entry to all nonimmigrants, regardless of visa type. "Fee for Remittance for Certain F, J and M Nonimmigrants"
Form used by a prospective F-1, J-1 or M-1 nonimmigrant to pay the fee for support of the Student and Exchange Visitor Information System. Abandonment of the Adjustment of Status If the student leaves the United States with a pending Adjustment of Status (AOS) petition, United States Citizenship and Immigration Services automatically denies the AOS petition. Program of study measuring a program’s length in clock hours: a minimum of 26 weeks of instructional time. Program of study measuring a program’s length in credit hours: a minimum of 30 weeks of instructional time. Program of study measuring academic progress in clock hours: 900 clock hours. Undergraduate program of study measuring academic progress in credit hours: 24 semester or trimester credit hours or 36 quarter credit hours. Program measured in clock hours: 900 clock hours. Adjustment of Status (AOS) A formal, documented request to change from one nonimmigrant status to another. advance parole Previous permission granted by United States Citizenship and Immigration Services to return to the United States after leaving the United States with a pending Form I-485, “Application to Register Permanent Residence or Adjust Status,” (for someone who wants to change from nonimmigrant status to lawful permanent resident status). Person designated by the head of a Department of State-designated exchange visitor program to maintain Student and Exchange Visitor Information System records. The J exchange visitor’s point of contact at the program for information and help. Only manage J exchange visitors and dependents. authorized benefits Any advantage or legal status assistance (e.g., optional practical training, a driver’s license and employment). authorized break Specific time period in which an F or M student has official DHS permission not to enroll in classes. authorized early withdrawal Permission a designated school official can give to an F or M student seeking to officially stop a program of study before the program end date. A designated school official-approved educational opportunity for an F-1 student in a country other than the United States, which may include graduate research and formal classes or programs, but must contribute to the student's completion of a program of study and before the end of the authorized period of stay. Time from before a program of study begins until a program end date. End of a grace period allowed for the F or M student (and any dependent) to prepare either to leave the United States or apply for a change of status. avocational programs Instructional programs in personal interest and leisure categories that have the expressed intent to not produce postsecondary credits, nor to lead to a formal award or an academic degree, nor result in occupationally-specific skills. benefits application Documents with which a nonimmigrant applies for specific programs and permissions open to a nonimmigrant who maintains active status (e.g., an F or M student must complete a benefits application to obtain a driver’s license or Social Security number). A national of Canada or Mexico admitted to the United States as an F-1 or M-1 student under certain rules to enroll in a full course of study, albeit on a part-time basis, in a SEVP-certified school located within 75 miles of a United States land border. See 8 CFR 214.2(f)(18) and 8 CFR 214.2(m)(19). change of status (COS) Moving from one type of visa status to another (e.g., a change of visa status from F-1 to H-1B requires adjudication from United States Customs and Immigration Services). change of status (COS) application Form I-539, “Application to Extend/Change Nonimmigrant Status,” to officially request permission to change from one visa status to another. class of admission Categories within a visa type (e.g., the F visa has several categories including the F-1 student and F-2 dependent). Developed by U.S. Department of Education’s National Center for Education Statistics. "Provides a taxonomic scheme that supports the accurate tracking and reporting of fields of study and program completions activity." See Classification of Instructional Program (CIP) code for more information. DHS has designated science, technology, engineering and mathematics (STEM) degrees for the purpose of approving a 17-month STEM extension of optional practical training under the provisions of 8 CFR 214.2(f)(10)(ii)(C). A 50 to 60 minute class, lecture or recitation in a 60-minute period. A 50 to 60 minutes faculty-supervised laboratory, shop training or internship in a 60-minute period. community college Postsecondary, undergraduate educational school offering lower-level (freshman (first year) and sophomore (second year)) classes. These schools gear their operations more toward commuter students and do not usually have on-campus living arrangements. Computer-Linked Application Information Management System (CLAIMS) Computer system United States Customs and Immigration Services uses to track immigration status for the purpose of benefit application authorization or employment authorization. continuing exchange visitor A J-1 exchange visitor who maintains status in a single program. continuing student An F or M student who has terminated or not completed enrollment in a program of study and has maintained status. control number Number at the top of the payment coupon, or document, printed when a prospective F or M student chooses to pay the I-901 SEVIS Fee by check or money order. courier service A for-profit company (not the United States Postal Service or the postal service of any other country or nation) that provides mail and document delivery (e.g., FedEx, UPS and DHL are for-profit delivery services). current information Relevant personal data about an individual (e.g., an F or M student must provide the designated school official or responsible officer with personal data (name, address, phone number, etc.) and report any changes to that data promptly). current status Measurement of whether or not a nonimmigrant followed the requirements Department of Homeland Security and Department of State set for a visa classification. Customs and Border Protection (CBP) officer A U.S. government official stationed at a port of entry who examines travel documents and interviews a prospective immigrant or nonimmigrant who wants to enter the United States. data fix A manual change made to a nonimmigrant’s Student and Exchange Visitor Information System (SEVIS) record by authorized SEVP staff, usually at the request of the designated school official, to correct SEVIS data. A data fix is not used for reinstatement of student status. deferred inspection location An area or office at a port of entry where a nonimmigrant may need to go for further questioning. Department of Homeland Security (DHS) A U.S. government department that contains, among others, United States Customs and Immigration System, Customs and Border Patrol and ICE. Department of State A U.S. government department that issues visas at consulates and embassies as well as manages the J visa programs within the United States. dependent A spouse or minor child with F-2, M-2 or J-2 status in the Student and Exchange Visitor Information System. A regularly-employed member of the school administration designated by the head of an SEVP-certified school to provide recommendations to F and/or M students enrolled at the school regarding maintenance of nonimmigrant status, and to support timely and complete record keeping and reporting to DHS. F or M student attends class and completes requirements "principally through the use of television, audio, or computer transmission including open broadcast, closed circuit, cable, microwave, or satellite, audio conferencing, or computer conferencing." The time during which an F-1 student is pursuing a full course of study at an educational institution approved by the service for attendance by foreign students, or engaging in authorized practical training following completion of studies. Note: An exception to the above information is that an F-1 student who is admitted to attend a public high school is restricted to a total of 12 months of study at any public high school. educational level Phase in an F or M student’s studies leading to a specific educational goal (e.g., undergraduate, graduate, post-graduate or certificate programs). elementary In compulsory education, whether public or private, generally includes kindergarten through sixth grades. A United States Customs and Immigration Services automated system that "collect(s) such information … necessary to issue a travel authorization, as reflected by the I-94W" (see 8 CFR 217.5(c)) for visitors who travel to the United States under the Visa Waiver Program. ESTA application can be any time prior to travel, but the Department of Homeland Security recommends early application. eligibility benefits Qualification to receive an advantage or assistance because of a visa status. Note: The emergent circumstances regulation gives the Secretary of DHS flexibility to help F-1 students by suspending certain regulatory requirements when emergent circumstances occur that undermine the students' financial ability to support continued studies. employment authorization Permission to work in the United States for a specific period of time and under certain circumstances (authorization sometimes from United States Customs and Immigration Services, or sometimes a designated school official or responsible officer). E-Verify An internet-based system for employers to "determine the eligibility of their employees to work in the United States." E-Verify employer An employer who uses E-Verify. exchange visitor Nonimmigrant with J-1 status for a specific purpose (e.g., temporary faculty, business trainees, medical trainees, etc.). The Department of State administers the J-1 Exchange Visitor Program. "Legal entity designated by the Secretary of State … to conduct an exchange visitor program"
fiscal year "Accounting period for the federal government which begins on October 1 and ends on September 30." flag removal DHS removes warning or notice from nonimmigrant’s Student and Exchange Visitor Information System record after a designated school official’s formal request. ​The amount of credit or clock hours required for an F-1 or M-1 student to maintain nonimmigrant status during a school session. See 8 CFR 214.2(f)(6) and 8 CFR 214.2(m)(9). Employment authorized for more than 20 hours per week. full-time study The number of credit hours or clock hours DHS requires an F or M student to enroll in and to attend during a term. gig An entertainer’s engagement or job for a limited period of time. Enter the United States in advance of the program start date. Remain in the United States after completing the program or optional practical training in order to prepare to depart the country, transfer to another school or program or apply for a change of status. See 8 CFR 214.2(f)(5) and 8 CFR 214.2(m)(5). H-1B Nonimmigrant visa class for temporary employment that requires a theoretical or technical expertise in specialized fields, such as science, engineering or computer programming. After April 1, beginning with the expiration of an F‑1 student's status (i.e., after either the initial grace period following the program end date or the grace period following the student's post-completion optional practical training Employment Authorization Document end date). Ending on the start date of the student's approved H-1B employment period on Oct. 1. Rejection, denial or revocation (which ends the extension). Approval and continued extension through Sept. 30 of the year the petition was filed. high school Generally includes grades nine through 12 (sometimes also known as senior high school) in compulsory education, whether public or private. instructional site Any physical location where a school provides instruction or training under the school's governance. This includes all locations where the school owns, rents, leases or utilizes space, and provides the instruction or training under the school's governance. A fee all F-1 and M-1 students and most J-1 exchange visitors must pay prior to gaining F, M or J status to support the administrative expenses of SEVP and the Student and Exchange Visitor Information System. See 8 CFR 214.13 for specific fee requirements. Internal Revenue Service (IRS) A U.S. government tax collection agency that "administers the Internal Revenue Code enacted by Congress." junior college Postsecondary, undergraduate school offering lower-level (freshman (first year) and sophomore (second year)) classes (usually have on-campus living arrangements). lawful permanent resident (LPR) An immigrant with official, documented permission to live in the United States. maintain status Comply with regulatory requirements to remain in the United States or to continue to receive a benefit. Dependent under 21 years of age. Under the age of 18 (generally in the United States). Under the age of 21 (for an F or M dependent, according to the DHS and Department of State). "Primary federal entity for collecting and analyzing data related to education." For more information, visit NCES. Educational activity related to learning a skill or trade. Educational activity related to a hobby or pursuit of interest purely for enjoyment (e.g., cosmetology, radiology, massage therapy, computer programming, aviation, culinary arts, etc.). Not core courses such as math, social studies, English and science. An M-1 visa is necessary. nonimmigrant A person entering the United States to visit, study or work (depending on the type of visa) temporarily but not to stay permanently in the United States. Meeting academic benchmarks set for a program of study in order to complete the program by the established program end date. See8 CFR 214.2(f)(5)(i) and 8 CFR 214.2(f)(6)(i)(E). National Security Entry/Exit Registration System (NSEERS) DHS required nonimmigrants from certain countries to register upon entry to and exit from the United States but suspended the program on April 29, 2011.
off-campus employment A temporary employment benefit available for an F-1 student experiencing unexpected severe economic hardship if other employment opportunities are not available or are otherwise insufficient. Official permission for an F-1 student to work off campus. An on-campus location (i.e., on the school's premises) directly employed by the school. An on-campus location (i.e., on the school's premises) employed by a commercial firm in a role that performs direct student services. An off-campus location that is educationally affiliated with the school. 24-month extension of post-completion OPT. See 8 CFR 214.2(f)(10)(ii) and 8 CFR 214.2(m)(13). Less than 20 hours per week of employment. Enrollment for fewer clock or credit hours than are considered full time. See 8 CFR 214.2(f)(18), 8 CFR 214.2(m)(19), 8 CFR 214.2(f)(6)(iii) and 8 CFR 214.2(f)(6). passport Official document from a person’s country of citizenship that attests to the person’s identity and status as a citizen. Document printed when a prospective F or M student chooses to pay the I-901 SEVIS Fee by check or money order. SEVP matches this document’s payment information with information the student fills out online at FMJfee.com. port of entry (POE) DHS-designated place where a person may apply for entry into the United States (i.e., international airports, seaports and land border crossings). post-completion optional practical training (OPT) Training for an F-1 student engaged in training after successful completion of the program of study. For an F 1 student in a bachelor's, master's or doctoral program; may be authorized only after completion of all course requirements for the degree, excluding thesis or equivalent. pre-completion optional practical training (OPT) Training for an F-1 student during their program of study, before the program end date. It is the only optional practical training where elective credits may be awarded, if applicable. Serve as the primary point of contact with SEVP on any issues that relate to school bona fides or compliance with regulations. Administer the F/M program at the school, keeping the school information in the Student and Exchange Visitor Information System (SEVIS) up to date, manage designated school officials, oversee the management of student records and respond to SEVIS-generated alerts. private primary Pre-kindergarten through eighth grade in a non-public (not government-run) school. program end date The date a student completes or is expected to complete their program of study. program of study A combination of courses and related activities organized for the attainment of broad educational or professional objectives. For initial students, the start of an academic or vocational program of study listed on the Form I-20, "Certificate of Eligibility for Nonimmigrant Student Status." public high school Government-run secondary school (generally grades nine through 12 and may be called senior high school to differentiate from a middle school (grades six through eight) or a junior high school (grades seven and eight)). Lead to a formal award, certificate or an academic degree. Authorization by a designated school official that allows an F-1 or M-1 student to maintain status while engaging in less than a full course of study for reasons such as academic difficulties, medical conditions or completion of course of study. See 8 CFR 214.2(f)(6)(iii) and 8 CFR 214.2(m)(9)(vi). regulations Rules with the force of law. Authorizes formula grant programs of vocational rehabilitation, supported employment, independent living and client assistance. Authorizes a variety of training and service discretionary grants administered by the Rehabilitation Services Administration. Authorizes research activities administered by the National Institute on Disability and Rehabilitation Research and the work of the National Council on Disability. Includes multiple provisions focused on rights, advocacy and protections for individuals with disabilities. reinstatement application Formal, documented process in which an F or M student can appeal for a return from Canceled or Terminated status to Active status. request for redress A system to request a solution for a nonimmigrant who consistently encounters difficulties at U.S. ports of entry. Communicating with J exchange visitors in that program. Maintaining Student and Exchange Visitor Information System records. Training and supervising alternate responsible officers. Advising and assisting exchange visitors. Being the point of contact for Department of State and ICE in communications that relate to the program. Equivalent of the primary designated school official for F or M schools. school An institute of learning whose officials must submit a Form I-17, “Petition for Approval of School for Attendance by Nonimmigrant Student,” to be SEVP-certified to enroll F and/or M students. secondary inspection A more intense investigation that a nonimmigrant may encounter upon entry to the United States; this investigation usually takes place if a Customs and Border Patrol officer cannot verify the nonimmigrant’s information or if the nonimmigrant does not have all the necessary paperwork at the time of entry into the United States. secondary school Generally speaking, grades seven through 12. Section 508 Part of the 1998 Rehabilitation Act that "requires that Federal agencies’ electronic and information technology is accessible to people with disabilities." A financial condition caused by unforeseen circumstances beyond the student's control that make it difficult, if not impossible, for a student to continue education in the United States. SEVIS Help Desk ticket A formal request from a principal designated school official, designated school official, responsible officer or alternate responsible officer to SEVP to ask a question or to address a problem related to the Student and Exchange Visitor Immigration System. SEVIS ID number A unique identification number assigned to the Student and Exchange Visitor Information System record and listed on the Form I-20, “Certificate of Eligibility for Nonimmigrant Student Status,” or Form DS-2019, “Certificate of Eligibility for Exchange Visitor (J-1) Status,” issued to an F, J or M nonimmigrant. SEVIS record F, J, or M nonimmigrant information entered into the Student and Exchange Visitor Information System database by a designated school official or alternate responsible officer. SEVIS school code A unique identification number assigned to an SEVP-certified school in the Student and Exchange Visitor Information System. SEVP-certified A school that is officially authorized by SEVP to enroll F-1 and/or M-1 students in addition to a program of study officially authorized for F-1 or M-1 student enrollment. Social Security number (SSN) A nine-digit number assigned by the Social Security Administration to U.S. citizens and to approved nonimmigrants and noncitizens eligible to work in the United States. special student relief The suspension of certain regulatory requirements for an F-1 student; subsequent to an emergent circumstances determination that affects on-campus employment, off-campus employment, duration of status and full course of study. STEM CIP codes The designation given to Classification of Instructional Programs codes in the fields of science, technology, engineering and mathematics. Student and Exchange Visitor Information System (SEVIS) An internet-based application that facilitates timely electronic reporting and monitoring of international students and exchange visitors, as well as their dependents, in the United States. This application enables schools and program sponsors to transmit electronic information to the U.S. Department of Homeland Security and the U.S. Department of State throughout a student's or exchange visitor's program in the United States. On behalf of DHS, SEVP manages schools, nonimmigrant students in the F and M visa classifications and their dependents. Systematic Alien Verification for Entitlements (SAVE) program A "web-based service that helps federal, state and local benefit-issuing agencies, schools, and licensing agencies determine the immigration status of benefit applicants so only those entitled to benefits receive them." 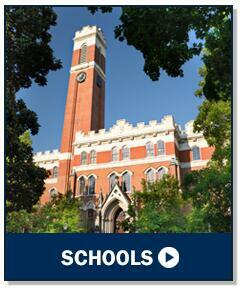 The school that receives the Student and Exchange Visitor Information System record upon the transfer release date. Visit Transfer-In Schools for more information. A school that holds the student record and starts the transfer process after the student notifies the designated school official of their wish to transfer. Visit Transfer-Out Schools for more information. U.S. Citizenship and Immigration Services (USCIS) U.S. government agency within DHS that oversees lawful immigration to the United States. U.S. Immigration and Customs Enforcement (ICE) U.S. government agency within DHS that investigates and enforces related elements of federal law. unauthorized employment Any paid work that a nonimmigrant takes without proper permission. The failure to attend class (i.e., maintain a full course of study) by an F-1 or M-1 student during a term without prior designated school official approval. Visit SEVIS Reporting Requirements for Designated School Officials for more information. A public school's or school system's total expenditure per student from all public revenue sources including local, state and federal funds per student for providing public education. Visit National Center for Education Statistics Search for Public School Districts and Search for Public Schools for more information. Verification Information System (VIS) A computerized system that provides immigration status information both to federal, state, and local government agencies when nonimmigrants and naturalized U.S. citizens apply for government benefits and to potential employers seeking employment eligibility verification to government agencies. Someone who has permanent residence outside the United States but wants to be in the United States on a temporary basis (i.e., tourism, business, temporary work, study or medical treatment). Someone who intends to live permanently in the United States. visa waiver country One of 36 countries, according to Department of State, whose citizens are not required to have a visa to enter the United States for the purpose of visiting but do need a visa to study: Andorra, Australia, Austria, Belgium, Brunei, Czech Republic, Denmark, Estonia, Finland, France, Germany, Greece, Hungary, Iceland, Ireland, Italy, Japan, Latvia, Liechtenstein, Lithuania, Luxembourg, Malta, Monaco, the Netherlands, New Zealand, Norway, Portugal, San Marino, Singapore, Slovakia, Slovenia, South Korea, Spain, Sweden, Switzerland and the United Kingdom. Applying for F or M student or J exchange visitor status upon entry. Entering the United States with a visa as described in 8 CFR 212.1a and applying for F or M student or J exchange visitor status upon entry. visa-exempt country A country whose residents do not need a visa to enter the United States (i.e., Canada or Bermuda, Bahamas, British subjects residing in the Bahamas, Cayman, or Turks and Caicos Islands). Related to learning a skill or a trade. 1099 employment Working for someone as an individual contractor, not because of a formal employer/employee relationship. 24-month science, technology, engineering or mathematics (STEM) optional practical training (OPT) extension A type of post-completion OPT. An extension of post-completion OPT for an additional 24 months that is available to an F-1 student whose OPT is based on a DHS-approved science, technology, engineering and mathematics degree. Sign up to receive SEVP email updates. As a reminder to our stakeholders, ICE has a policy in place that advises against enforcement actions at schools or churches. With that said, SEVP personnel often visit SEVP-certified schools or those seeking SEVP certification. Many of these visits are required in order to maintain a school's SEVP certification. Learn more about ICE's sensitive locations policy. SEVP-certified schools are subject to review of their certification at any time based on federal regulation. Visit the School Alerts page for a list of schools that have been withdrawn in SEVIS upon review due to a failure to comply with SEVP regulations and to find instructions for students of these schools. 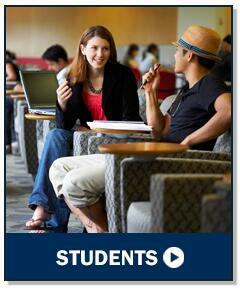 Eligible F-1 and M-1 international students can access the SEVP Portal here. To learn about the portal please visit the SEVP Portal Help section on Study in the States.